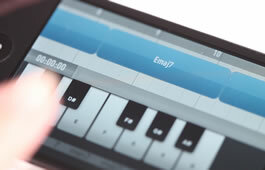 Locassa Ltd, a UK app development agency specialising in creating touch-based apps, helps UK Music Apps Ltd bring SessionBand to life, putting a new spin on mobile music creation. 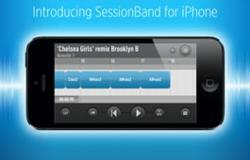 Anyone can create great sounding music in minutes with the SessionBand app! Love this app, it's so easy to get started...we were just messing about with it and ended up making a great tune! So much potential, so much fun. The latest app to come out of London-based app development studio Locassa is being heralded as a 'game changer' in the world of mobile music creation apps. SessionBand is the worlds first chord-based loop audio app allowing both beginners and pro musicians alike to create top tracks in minutes. 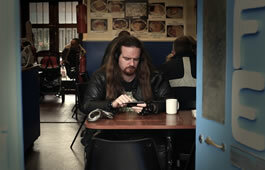 Commissioned by UK Music Apps Ltd, brainchild of UK entrepreneur Paul Sissons, former CEO of private-equity owned GTI Media, SessionBand shows that people want something new in the genre of mobile apps. 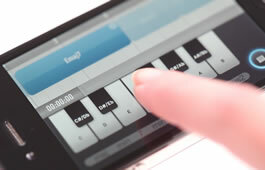 The app lets you create professional-quality music in minutes. With over 70 musical styles and a simple, intuitive user interface, it has been designed to capture the broadest audience possible – from pro musicians to those who can’t play a note! For the first time, users can create pro quality music from almost every chord and in almost every main style. And they can do it in minutes...wherever they are, by selecting chords and watching them convert instantly into great sounding audio loops. Simplicity is the key to SessionBand. Making great quality music really is child’s play thanks to a straightforward interface, simple chord review and selection functions, tempo shift, and mixing and copy and paste features. 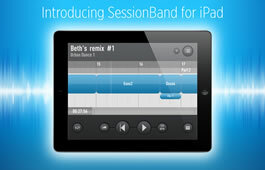 SessionBand is powered by 80,000 precision-cut audio loops, all of which are chord-based. These weren’t created overnight. A whole army of some of the UK’s best session musicians and producers have collaborated over 6 months to exclusively play and record the great sounds that go into SessionBand. 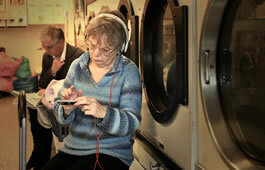 Amongst others, the app features musicians and producers who have recorded with Mariah Carey, Kylie Minogue, Leona Lewis, Mark Knopfler, Van Morrison, Sugababes and Cheryl Cole. SessionBand’s chord-based format has far-reaching benefits. It means that users can instantly “flip” the track they have just created between all 71 musical styles, hearing an R&B track as Reggae or a Deep House track as Dubstep. 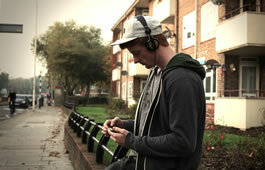 Users can speed tracks up, slow them down, mix and arrange and share their music on the go. The possibilities are limitless. And because all the loops reside within the app itself, SessionBand is perfect for the user on the move – no internet required! SessionBand offers loop sets for every taste with a diverse range of genres from Acoustic, Blues and Dance, through to Country, Hip Hop/Rap, Rock and Urban/R&B. All loops are recorded to the same exceptional quality and each set works in exactly the same way. Add-on Style Packs offer additional multiple loop sets, which can be purchased within the app itself, enabling access to an even broader range of styles.